HAMBURG, Germany — Internorga 2019 put on a programme packed with innovations, underscoring once more its status as the place-to-be for the whole of the food service and hospitality market. It featured 1,300 exhibitors from 25 nations, presenting trends and innovations for this dynamic industry on 100,000 square metres of exhibition space at the Hamburg Messe und Congress site from 15 to 19 March 2019. The show attracted 96,000 visitors, covering an inspirational bandwidth from networked kitchen equipment and integrated software solutions to convenient, vegan/vegetarian product innovations, and the latest trend beverages. A major focus was on green production processes and supply chains. The Italian special Bellavita Expo celebrated its premiere at Internorga 2019. For five days, Internorga in Hamburg was the hub of attention for the major players in the whole of the HoReCa market, with correspondingly positive responses from visitors: 95% rated Internorga as excellent or good, and 93% would recommend it to others – as shown in the findings of an independent market research agency. 7% of visitors came from abroad, maintaining the high level of previous years. Internorga lived up to its reputation for innovative concepts, presenting the new special show Bellavita Expo, which showcases Germany’s favourite cuisine. This leading trade show for Italian food & beverage products outside of Italy celebrated its German premiere at Internorga 2019. It featured numerous small artisan producers and well-known market leaders with specialities from the whole of Italy. Another new feature was a masterclass on the highly topical subject of International Growth & Franchising, where experts gave the trade audience useful tips on expansion strategies and the mechanisms of franchising. Once again, the Craft Beer Arena was a major attraction, with more than 30 artisan brewers and its own lecture series. The second Craft Spirit Lounge as success as the first, presenting the diversity of hand-made spirits in a larger space this year. The Grill & BBQ Court was also bigger, showing visitors the latest barbecue equipment and giving them opportunities to engage with experts. Other highlights were the Newcomers Area and the Trendforum Pink Cube. The Food Truck Village in front of the Hamburg Messe main entrance invited visitors to exchange views with experienced truckers, and gave plenty of opportunities for a culinary break. Popular attractions for bakers and confectioners were the special formats Baker’s Blue Box and BACK Stage. From cakes to burger patties to workwear and lemonade – vegan and vegetarian needs in the food service and hospitality market were met by a wide range of exhibitors. A Veggie Path was set up by the leading international nutrition organisation ProVeg, a cooperation partner of INTERNORGA, enabling users to navigate via app directly to the relevant exhibitors. The extensive conference programme with a total of 3,000 participants was completely sold out. Well-known academics, consultants and industry experts addressed the three world-class conferences – the 38th International Foodservice Forum, the 45th German Catering Congress, and the 9th Forum School Catering. They gave decision makers in the hospitality and food service industry useful insights and new ideas for the sector. 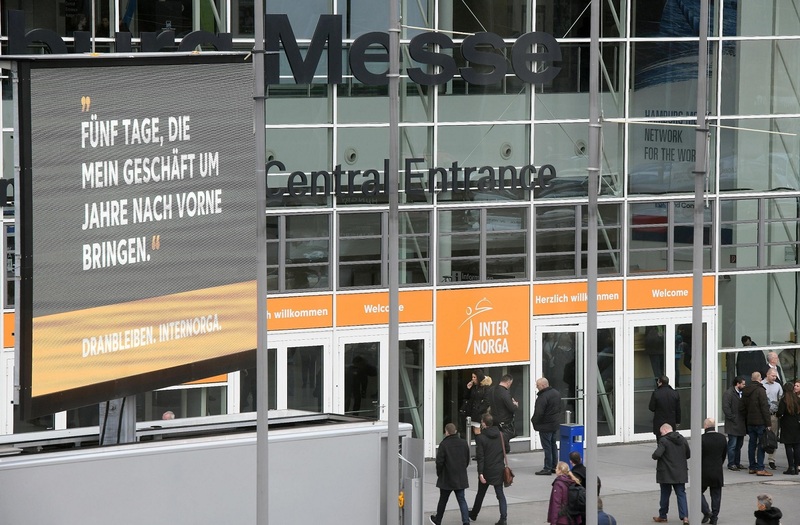 The next Internorga will be held from 13 to 17 March 2020 at the Hamburg Messe und Congress site.